Concrete technologies have been used from time memorial in construction and infrastructure projects. Before the invention of automatic mixers, the work was done using hands and this was labor intensive, lacked uniformity and quality. High concrete utilization in large construction sites high rise buildings resulted in the development of alternative mixing methods. With need for increase amount of materials for large buildings, coupled with need for uniform mixing and operation costs reduction; batching plants were developed. These plants were revolutionary as they allowed the weighing, preparation and mixing of ballast, sand, cement and other chemicals that promote high strength and durability. Concrete Batching Plants have advanced computerized weighing to ensure accurate mix ratio in addition to fully controlled mixing process to ensure uniformity, increased strength and long service life. With technological advancement, these plants can be configured to deliver ready mix or central mix concrete. 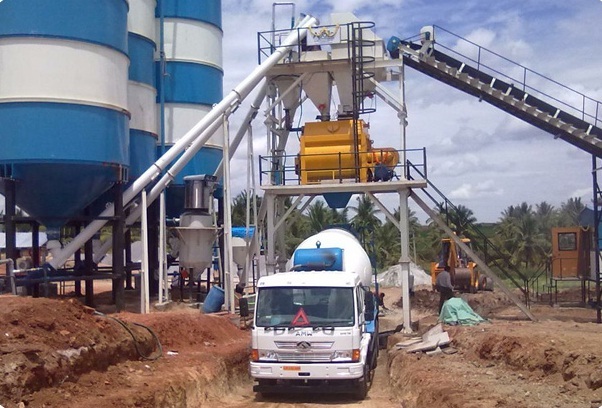 In ready mix, the all materials are mixed on plant and loaded on the truck. The truck is then loaded with water and mixing occurs on truck as materials are transported to site. In central mix, all materials including water are added and loaded on truck and no mixing is required during transportation. Advances in technology and innovation have also resulted in development of mobile batching plants that can be transported to remote sites, areas where transportation is hindered by poor roads or traffic jams and building requiring high volumes of concrete. There are small trailer mounted batch plants for small construction sites. Small complete units of mobile and trailer loaded units reduce the need to labor, manual mixing and other numerous equipment that not only increase costs but results to environmental pollution. These plants have dust removing systems as well as hydraulic powered systems that use less fuel. Concrete transit mixers were developed to assist in transportation of materials to site. A specially designed trailer is loaded with ready mix concrete from batching plant. As the truck transports the materials, they are swilled by the revolving auger to achieve the required uniformity. During charging or loading the auger rotates in opposite direction to discharging. These trucks carry ready mix or central mix materials. Wet mix concrete is availed from central and ready mix concrete plants and has a high moisture contents that increases its flow properties. Wet mix is suitable for traditional construction where the material is poured onto a mould and has to flow to all corners. Dry mix on the other hand has very low water content and no slump. It has the advantages of solidifying immediately after consolidation. The principle advantage of dry mix type is its ability to form immediately. Therefore many mass products such as concrete pipe making and precast structures can be made as the mold is removed immediately and used for next product. The dry type also has less wear and maintenance costs. 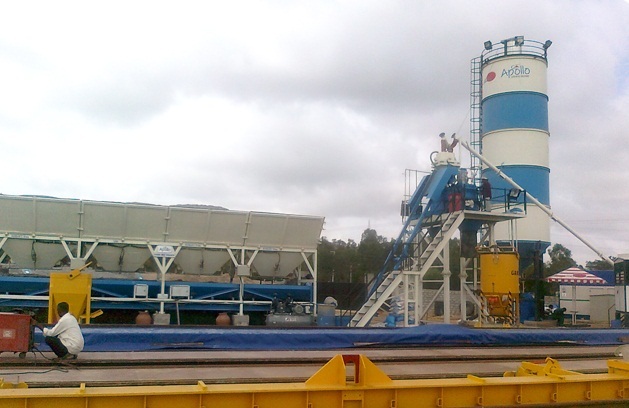 This technology entails continuously forming roads, pavements and other structures using slip forming machines. Through this method, the materials are prepared, consolidated and cured as the machine moves. Most concrete machines are standardized and made to high quality. Most spares are easily available and are interchangeable. These parts can also be shopped through the internet. Therefore, maintenance costs are reduced.